The School of Dance is housed in the Mary Channing Coleman building. We are proud to provide seven studios that function as classrooms, rehearsal and performance spaces, as well as a computer lab, dance locker and dressing rooms, a green room, video archive, costume shop, and an in-house box office. 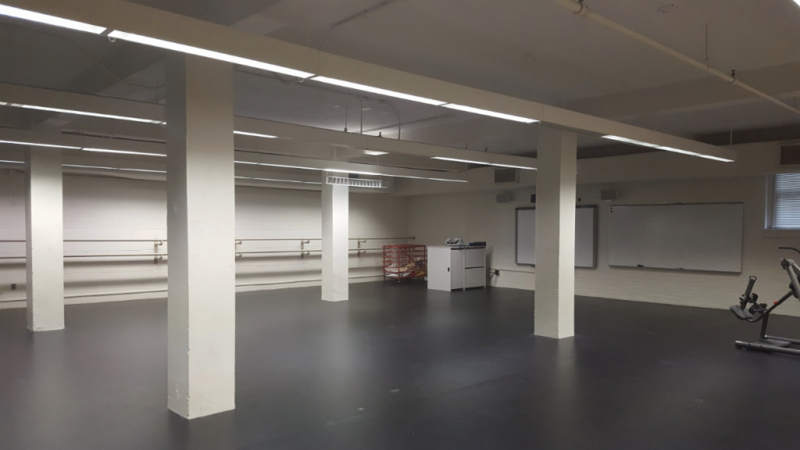 201A is one of two newest studios in the School of Dance. The space was created from the one-half of the old Rosenthal Swimming Pool into an open studio designed to host Contemporary and Yoga technique classes. “20Wood” features a fully sprung floor, a grand piano for live accompaniment and a seating area for class observation. 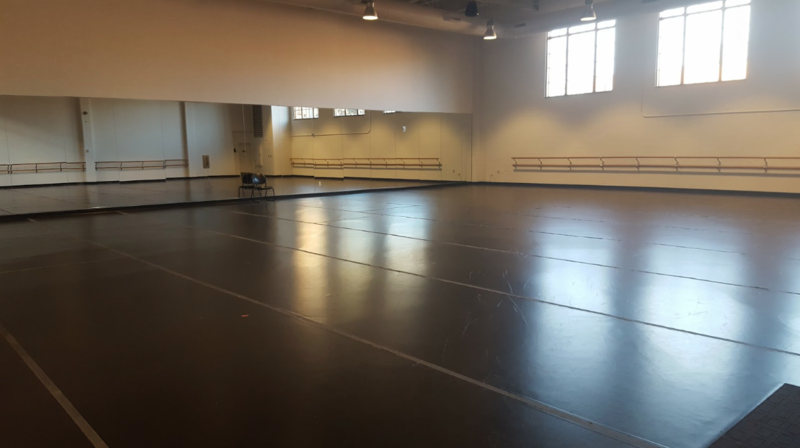 202A is one of two newest studios in the School of Dance. The space was transformed into an spacious ballet studio from the one-half of the old Rosenthal Swimming Pool. “20Marley” hosts a fully sprung floor, a grand piano for live accompaniment, and is ADA accessible. 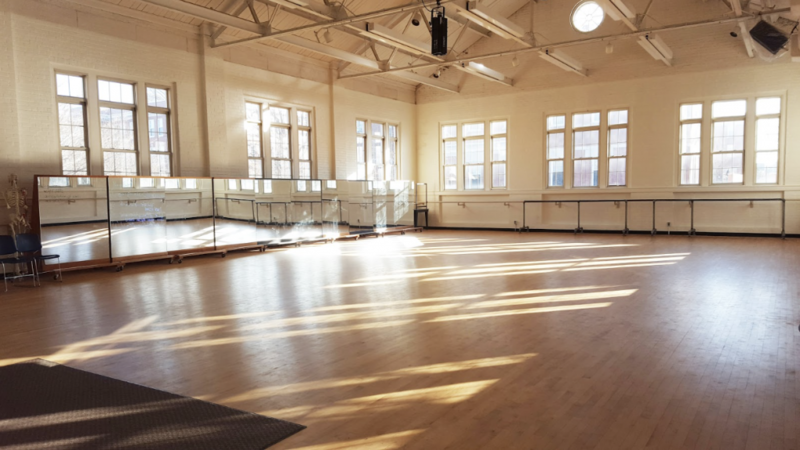 Studio 208 is home to our dance education and somatics classes. The space features a computer teaching station and SmartBoard, along with various equipment to assist in educating dance students about somatic awareness and therapeutic methods. The 221 studios are frequent hosts to student rehearsals and smaller technique classes. 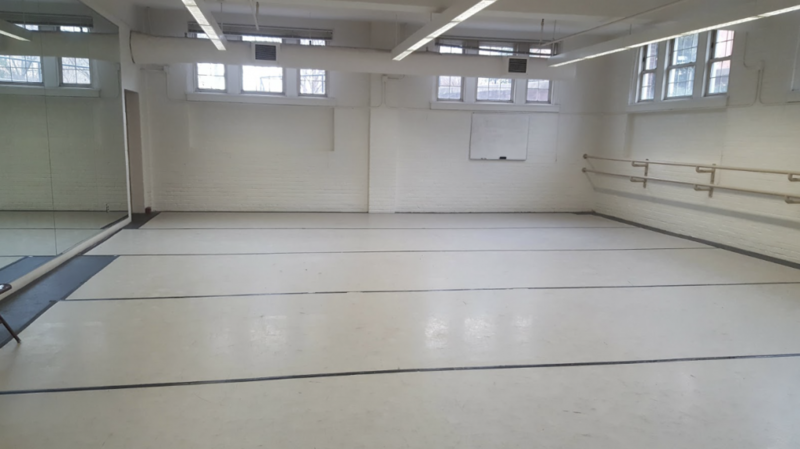 Both spaces have flooring that is perfect for our tap and jazz classes. 306 has the honor of serving as both classroom and performance space. As a classroom, 306 provides a fully sprung Marley floor installed in 2016, a piano for live accompaniment, and portable mirrors. 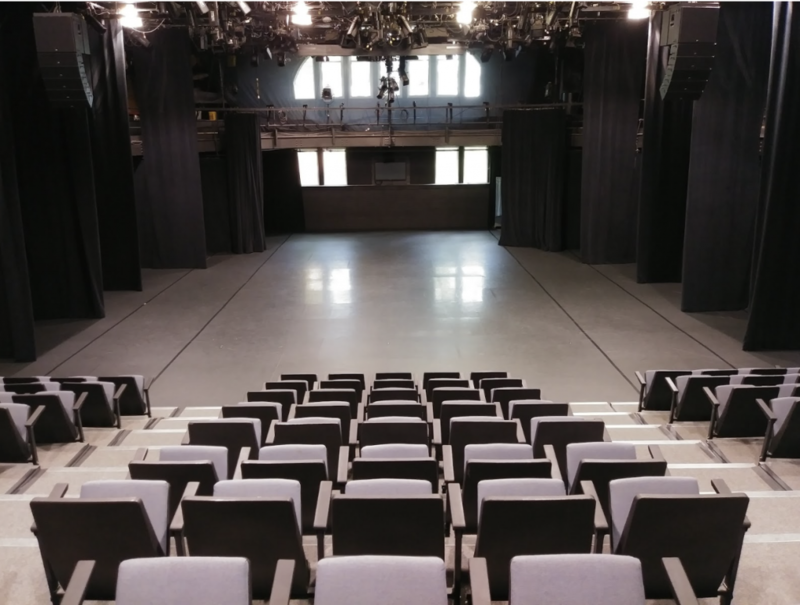 As a performance space, the studio offers 155 seats, full theater lighting, professional audio equipment, projection and recording capabilities. 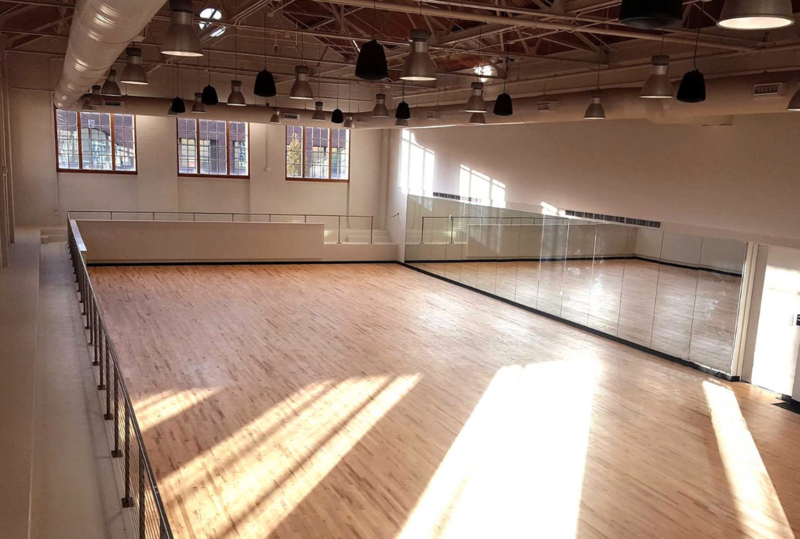 Originally constructed as a part of the Rosenthal Gymnasium in 1925, studio 322 is one of the most popular spaces in the School of Dance. The studio offers a fully sprung wood floor that was installed in 2016, portable mirrors, and three walls of windows for a wealth of natural light. Many Dance events are held in the Mary Channing Coleman Building (formerly HHP) and include performances choreographed and performed by students, faculty, and visiting companies. The School is proud to have its own Dance Theater, in which 10-15 concert programs are produced each year. The theater offers 155 seats, full lighting, professional audio equipment, projection and recording capabilities, as well as an in-house box office. UNCG Auditorium (renovated and reopened in Summer/Fall of 2008), seats 1642 people and is used for musical productions, operas, symphonies, ensembles, Performing Arts Series, Faculty and Guest Dance performances, and various other performing arts events. UNCG Auditorium is located on the corner of Spring Garden and Tate Street. UNCG Auditorium is handicapped accessible and also features hearing-assistance listening devices.